Can a remodeling project be completed without at least one change order? Heres a form to communicate properly to your client, and provide a record of what exactly the Change Order is going to detail, and cost. This form is help manage your clients expectations. Can a remodeling project be completed without at least one change order? 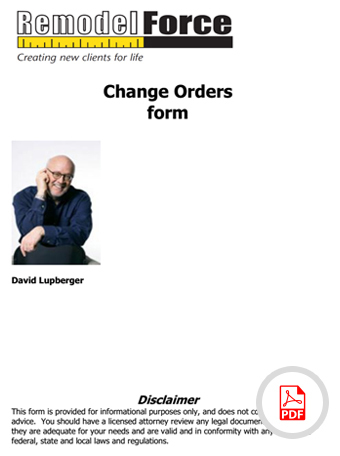 Here’s a form to record and communicate properly to your client what exactly the change of the order is going to represent. This form will help manage your client’s expectations.